End of line and out of stock! The “Jewel” colours are vibrant and bright! They are highly reflective and shine with the same colour throughout. These are Non-toxic colours. 5 grams per pot. The Sparkle Range is a collection of non-toxic glitters. If used for cake decoration it is recommended that they are used on items that are easily removable from the cake. 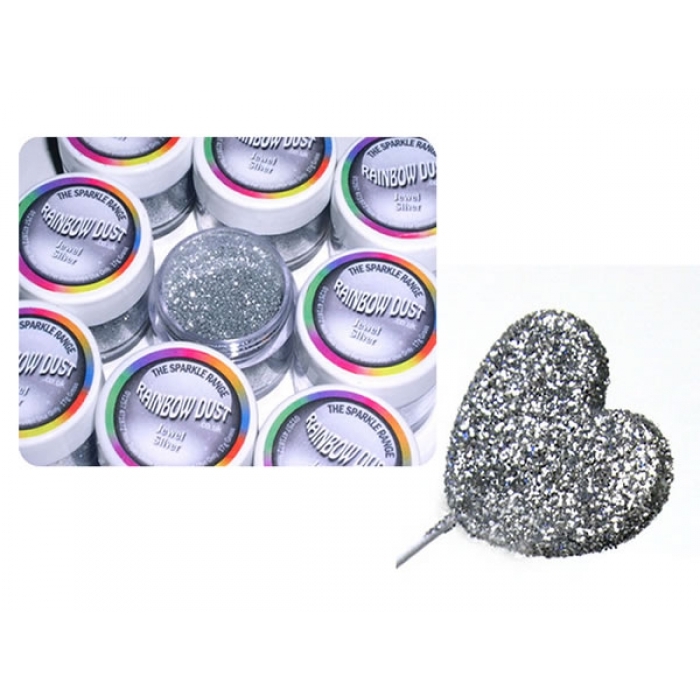 Rainbow Dust Colours are one of the only companies to be able to supply a non-toxic glitter for use on cake decorations that complies with the FSA guidelines for "Food-Contact" Glitters.